Welcome to the world of Virtualization and Cloud Computing. 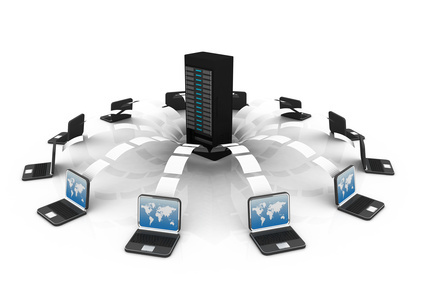 Virtual Servers eliminate the need for separate physical servers for Domain Controllers, Exchange, File Servers, etc. Where in the past your organization might need 5 or 6 separate servers to match your infrastructure needs now with Virtual Server technology you can parse down your hardware environment by running multiple servers on one physical server. Imagine having a Domain Controller, Exchange, File Server and SQL Server all running on one box and managed within one interface. Leverage the power of virtualization by fully utilizing existing IT resources to deploy new applications, improve availability and ensure business continuity. Dramatically reduce capital and operating costs while increasing IT staff efficiency with VMware , the most trusted and reliable virtualization platform in the industry. What is Virtualization & How Does it Work? Today’s x86 computer hardware was designed to run a single operating system and a single application, leaving most machines vastly underutilized. The VMware virtualization platform is built on a business-ready architecture. Use software such as VMware vSphere to transform or “virtualize” the hardware resources of an x86-based computer—including the CPU, RAM, hard disk and network controller—to create a fully functional virtual machine that can run its own operating system and applications just like a “real” computer. Each virtual machine contains a complete system, eliminating potential conflicts. VMware virtualization works by inserting a thin layer of software directly on the computer hardware or on a host operating system. This contains a virtual machine monitor or “hypervisor” that allocates hardware resources dynamically and transparently. Multiple operating systems run concurrently on a single physical computer and share hardware resources with each other. By encapsulating an entire machine, including CPU, memory, operating system, and network devices, a virtual machine is completely compatible with all standard x86 operating systems, applications, and device drivers. You can safely run several operating systems and applications at the same time on a single computer, with each having access to the resources it needs when it needs them. Designed especially for small IT environments with fewer than 20 physical servers, the Essentials and Essentials Plus editions of VMware vSphere™ 5 (“vSphere”) deliver enterprise-class capabilities in a cost-effective package for organizations that want optimize and protect their IT assets with minimal up-front investment. By adopting vSphere Essentials, customers can more effectively utilize server, network and storage resources dynamically as a single pool or “internal cloud” to protect business-critical applications and data. The result is an Always On IT environment that is more cost-effective, resilient and responsive to business needs. Contain and consolidate server hardware. Achieve consolidation ratios of well over 15:1, and improve hardware utilization from 5-15 percent to as much as 80 percent or more— without sacrificing application performance or throughput. Maximize application availability and protect information assets. Ensure “always on” continuity of IT operations with the rock-solid reliability of VMware® ESX™ and ESXi, along with integrated backup, recovery and failover features. Streamline management and enhance productivity. Provision new applications in minutes instead of days or weeks, monitor virtual machine performance, and automate patch and update management. Optimize software testing and development. Safely test complex multi-tier configurations in a secure, isolated sandbox environment while allowing test and development teams to share server, network and storage infrastructure. VMware ESX and VMware ESXi provide a robust, production-proven, high performance virtualization layer that allows multiple virtual machines to share the computing, networking and storage resources of a single physical server. VMware vCenter Server for Essentials provides rapid provisioning, centralized management and performance monitoring, with physical-to-virtual (P2V) machine conversion, wizard-based deployment and a host of other features. VMware vCenter Update Manager provides automated patch and update management for VMware ESX hosts, as well as for virtual machines running select versions of Windows and Linux. VMware High Availability (HA) provides hardware-independent failover for virtual machines on VMware ESX hosts without the cost or complexity of traditional solutions for physical systems. VMware Data Recovery provides simple, cost effective, agentless backup and recovery for virtual machines that optimizes backup storage usage and complements existing data protection solutions for backup and archival to tape.